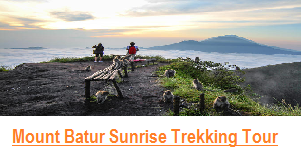 Walking Tour to Mount Batur, the point of the program is see amazing sunrise from the top crater of Mount Batur, and we have combine it with visiting Coffee Plantation, Hot Spring, Tegalalang Rice Field, and Elephant cave temple. 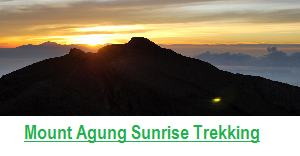 This Walking tour start from 2 am from your hotel and finish around at 11.00 am to 12,00 am. 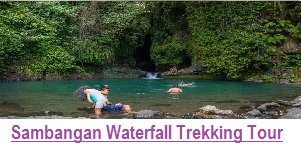 Walking Tour to the Waterfall in Bali, we do have more than one Waterfall Walking tour, each program has a different experience, there are Walking tour to Sambangan Village where you will exploring four waterfall, walking thru the rice field, village, river side, then swimming, jumping and sliding in the waterfalls, young gay is recommended. 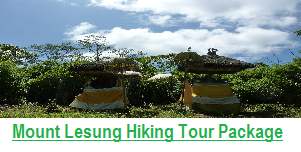 Sekumpul Waterfall Walking tour, Sekumpul waterfall is the highest + most beautiful waterfall in Bali, it’s consist of 7 waterfalls, also during this walking tour you will walking thru the Rice field, nature village, and see amazing green hill view. 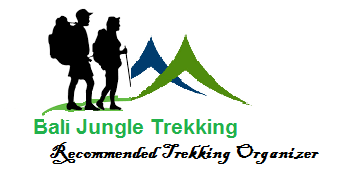 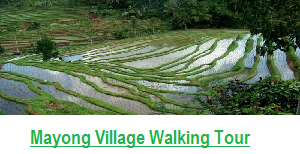 Walking tour to the jungle of Bali, Tamblingan Jungle is the best choice for you to explore the real jungle in Bali, as tamblingan jungle is the real protected jungle in Bali, also during the trek you will see some old legend temples, learning a lot nature, and crossing Tamblingan lake by our Traditional Dugout canoe. 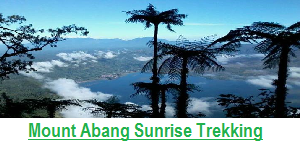 For more detail explanation for above Program please do not hesitate to contact us any time.